I absolutely love diptyque candles. Yes, they're pricey, but the scents are so unique and really strong! One candle really does fill up an entire room with its aroma. 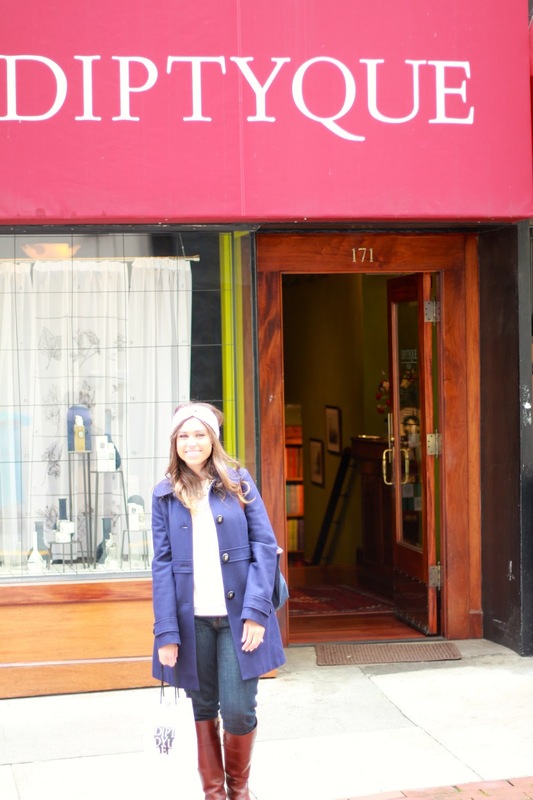 I was up in San Francisco last week and stopped by the store's Maiden Lane location. It is such a cute, cozy boutique. If you're around SF, definitely pay it a visit. The candles all display the brand's iconic oval, which identifies the name of the fragrance in dancing letters and the address of diptyque's first store, 34 boulevard Saint Germain. According to their website, each candle contains 8-9 mineral waxes and sometimes a few plant-based waxes to enhance the candle. When you sample the candle scents in store, you can actually remove the entire candle from the container so you can smell the bottom. According to the sales associate, that gives you a more accurate sense of what the candle smells like when it's burning. I've actually noticed that when I'm burning my candles at home, the scent does become more potent as the candle reaches the end of the container. My favorite scent so far is the Baies candle (berries), which is a combo of roses and blackcurrent leaves. On this trip, I picked up Myrrhe (myrrh) and Verveine (lemon verbena). The website describes Myrrhe as an "ambery resin burned in offering, the gift of a king and a sensual scent since Ancient Times." In other words, it smells like the incense burned in church, and that's what I like about it. Verveine is a lemony scent, which my husband loves. What are some of your favorite diptyque scents? crazy i know, but i have never even smelled a diptyque candle! i need to though because all those ones you mentioned sound soooo good! thank you for this inspiring article. 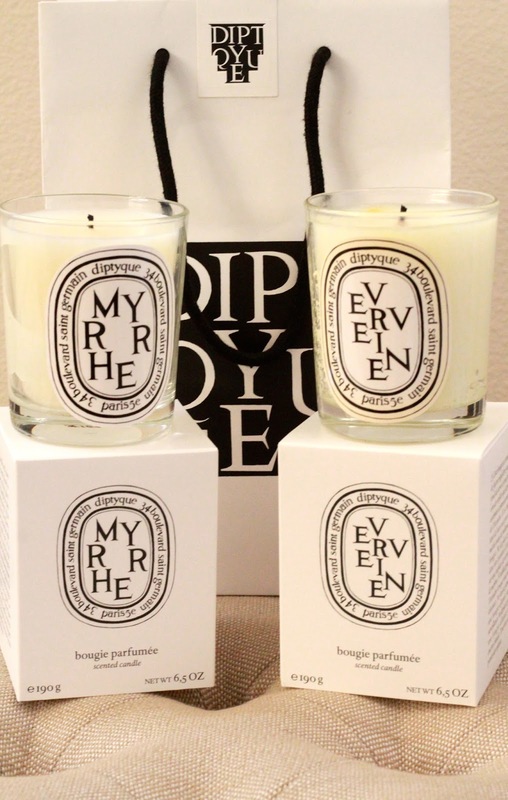 I am planning my birthbirthday trip to Paris and create a wishlist including a Diptyque candle. And my favorite is baeis (think so) but I also adore the amber one, but I think this is more of a woody autumnal sent. Therfore I thought about the baeis room spray for summer. Did you tried any room sprays from diptyque and recommend sents?